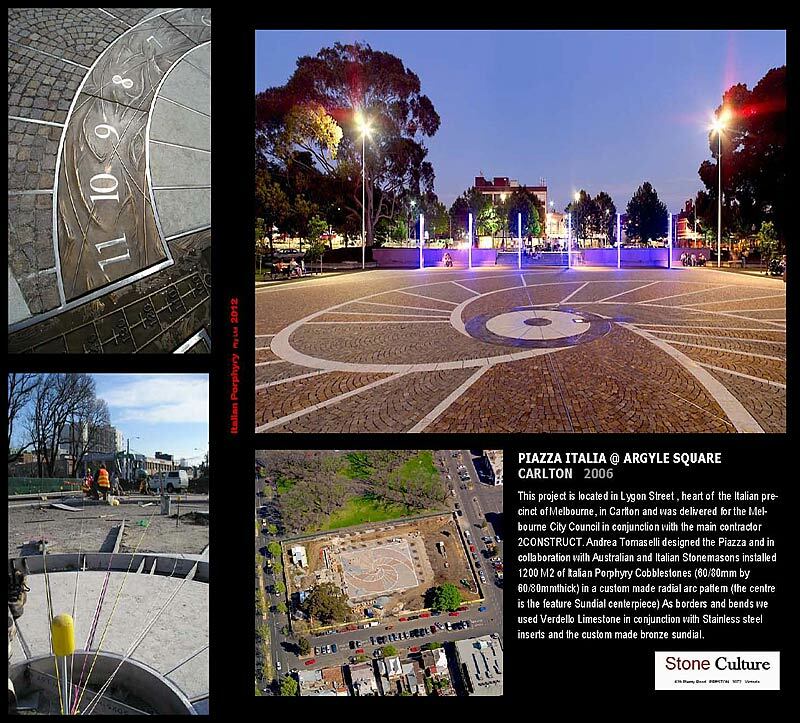 This project is located in Lygon Street the Italian precinct of Melbourne, in Carlton and was delivered for the Melbourne City Council in conjunction with the main contractor 2CONSTRUCT. As borders and bends we used Verdello Limestone in conjunction with Stainless steel inserts and the custom made bronze sundial. The range of uses for Porphyry Stone is endless, not only because of their durability and old world Mediterranean appeal. Porphyry is a natural material which is environmentally sound, everlasting and with many design applications from pedestrian paving, driveways, roads to feature walls and landscaping. 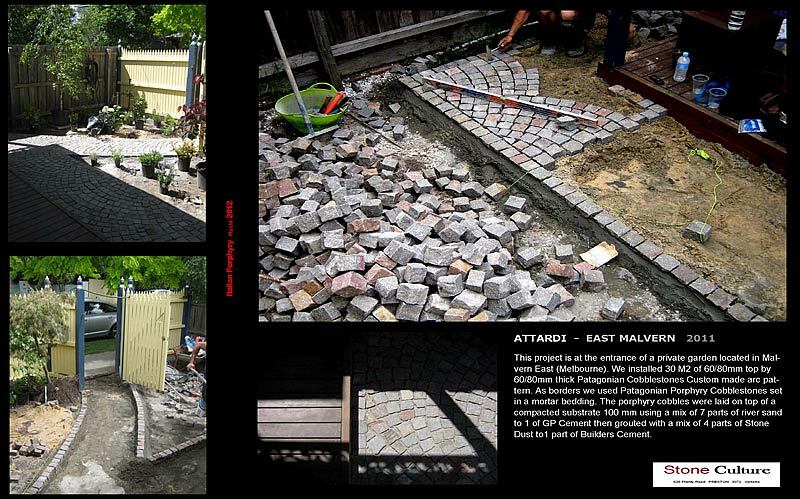 Porphyry fits all these applications and can be worked into cubes, pavers, tiles, irregular flagging, kerbstones, borders and rustic wall veneer. It is available with sawn or snap cut edges. The standard for our module size has been set to allow for many designs to be made without cutting or splitting stones. By combining the range of Porphyry products with other materials, a simple lane, pathway or forecourt becomes an innovative work of art. High compressive strength means Porphyry stone withstands vehicular traffic and are an ideal material for streetscaping. 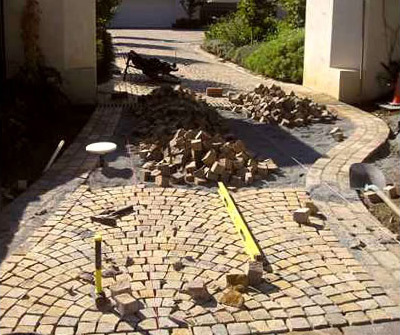 A great little video showing you how to lay cobble stone. Remember if the job is too big or not as easy as you thought, contact Stone Culture on 0409 596 616. Welcome to the home of Stone Culture.